Nina is a Tinley Park High School alum. She earned an associate’s degree in business management from University of Phoenix. Nina has worked in the optometric industry since 2006 and learned all aspects of the office. She moved to the area in 2011 with her family. She joined the Dunlap Vision team in 2015 and is now the manager of the optical department. She enjoys helping patients and educating them on the best lens solution for their individual needs. 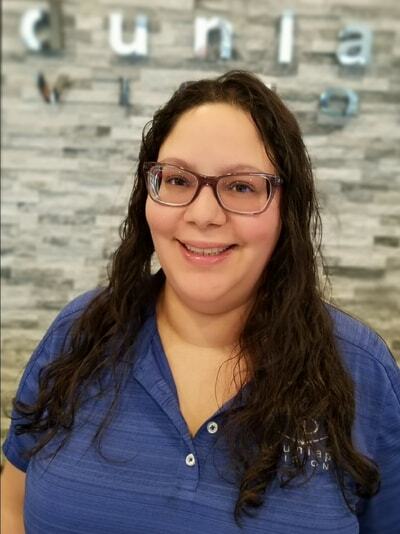 Nina’s excellent customer service and attention to detail ensure our patients are completely satisfied with their experience as well as the performance and fit of their glasses.